When German midfielder Toni Kroos scored the game-winning, last-minute goal during last Saturday’s nail-biter World Cup match against Sweden, it wasn’t just a lifesaver for the German national team. It was a huge relief for Leesburg restaurant owner Timo Winkel on every level. 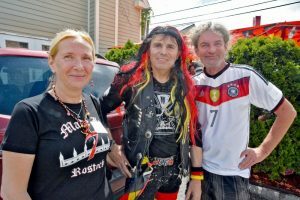 For the Hamburg native, who owns the beloved Döner Bistro with his wife Nicole, Germany’s world cup matches bring out the crowds and a super-energized vibe. And with the U.S. men’s team having failed to qualify for the tournament, the Germany games are the restaurant’s big draw. Without the U.S. team in the mix, Loudouners may be scratching their heads about who to root for. But with German- and Belgian-themed restaurants in downtown Leesburg, it’s easy to have some fun with a little European flavor. And there’s something to be said for watching matches in a group setting. At Döner, with its large communal tables and indoor and outdoor televisions, it’s easy to catch any match with fellow fans. With afternoon and evening games in Russia running live as early as 8 a.m. EST, the challenge for some fans is finding spots that open early for morning matches. Döner is opening early to show all games, as is the convivial Ashburn Pub in Ashburn Village. Danish-American Sebastian Fonss traveled to the Ashburn Pub from his home in Lovettsville to watch an 8 a.m. Denmark-Australia match last week and joined a small but festive group of around 10 fans bright and early on a Thursday morning. “I was the only Dane and there was one Aussie, but he had a couple friends. The bartender was Irish and there was a group of Brits. Good vibe. We all had fun,” Fonss said. With the Belgian national team storming out of the preliminary round as a dark horse favorite, Leesburg’s Delirium Café, the first U.S. location of the Brussels-based international restaurant group known for its extensive beer list, is another popular spot. The café will be abuzz as Belgium takes on England at 2 p.m. Thursday, June 28, to see which team leaves its group in first place. As Belgium moves into the single-elimination Round of 16, which starts Saturday, June 30, the café will host viewing parties in the garden and offer food and drink specials, according to co-owner Curtis Allred. Allred said word about the café is still spreading among Belgian expats in the DMV, and he’s hoping to draw both locals and an international crowd for upcoming matches. 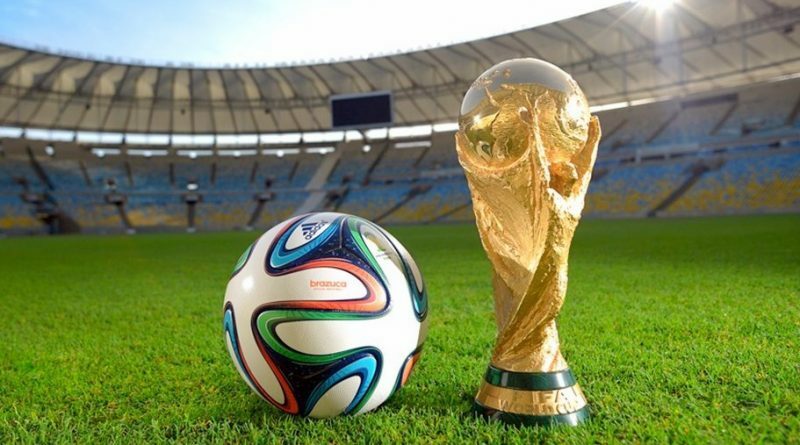 Join fellow soccer fans for World Cup watch parties at Döner Bistro (202 Harrison St. SE in Leesburg), the Ashburn Pub (44110 Ashburn Village Blvd. in Ashburn), and Delirium Café (101 S. King St. in Leesburg). Unlike Belgium, which breezed out of the preliminary round, things got a rocky start for the German team when the defending world champions lost their first match to a talented Mexican team. There was plenty of celebrating at Döner last Saturday when Germany brought its trademark precision to beat Sweden in an intense match. Germany lost a deciding preliminary round match today against South Korea 2-0 , so they wont’t move on to the round of 16. Meanwhile, Mexico’s talent and teamwork are earning new fans. “[Mexico] is leaving everything on the field. I’ve never been a huge fan of Mexico, but this year they’ve won me over because of their attitude and how they play. That’s what you want to see on the field,” Iris Sanchez said as she watched the Uruguay vs. Russia game on a friend’s phone during her son’s soccer practice Monday afternoon. Sanchez, who was wearing an Andres Iniesta jersey in honor of the celebrated Spanish midfielder, said Spain is still her number one team, but she enjoys following the entire tournament. She said she loves the unpredictability that each game holds, and how with passion and team play, any team has a chance at taking the win. Sanchez’s son is enrolled at the FCBEscola soccer school training program, housed at Evergreen Sportsplex near Leesburg. FCBEscola is a selective Northern Virginia-based program for boys and girls 6 to 16 modeled after the play style of the world-renowned professional soccer club FCBEscola. For Sanchez, World Cup viewing is a family affair. “We get together with family and root our hearts out and we have the flags and we cook, eat, drink and have fun with the games,” Sanchez said. And Winkel says that even if Germany gets eliminated, they’ll continue to show every game. Loudoun Now intern TJ Davis contributed to this report.